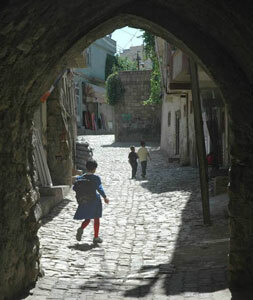 Siirt is now a predominantly Kurdish town in southeastern Turkey. Till 1915 however it was the hometown of a large Christian population. That year Ottoman Turkey started a holy war against the 'infidels'. Terrible massacres took place in Siirt and the local Christians were brutally murdered. The Year of the Sword - 1915. It is old history now. Who still cares about it after all those years? One particular Kurd from Siirt does care. He is a decent man with a heavy burden on his conscience. How to regain peace of mind with a grandfather who was one of the perpetrators of the gruesome crimes? Grandson Behzat Bilek found a solution. It happened in 1915 in Siirt, a small town in southeastern Turkey. Four Kurdish men gathered a group of Christian women in the cathedral’s yard. The husbands and male relatives of these women had already been butchered. The four Kurds pointed their weapons at the women while forcing them to carry out all the books they could find in the cathedral’s library and pile them up on the yard. Quickly, the yard was full with books lying on top of each other. When the library was emptied, one of the men took out a match and put the books on fire. One of the other men closed the gate to the yard as the other men gripped and pulled the women’s frightened children from their arms and threw them into the fire. The mothers instinctively rushed to save their children, as the men opened fire and shot the women who fell into the flames. The men didn’t stop piling up the women in the big fire until all women were dead. In the yard, there were now only ashes left. A ten-year-old girl survived the massacre and became the only eyewitness of this terrible crime. An official hand over of title deeds is one thing, but how it is going to happen in practice and what if Sabri Atman decides to sell the land? Behzat firmly sticks to his action: ‘We are talking about 5000 hectare that will be divided among ten people, my nine brothers and sisters and Sabri Atman. Sabri will get my share. How and when, I don’t know. The future will tell. All I know is that I feel happy. I feel that I have made history, and I hope that my action will contribute to recognition of the genocide.’ Behzat has done something great. After all, it is the symbolic value that counts. Most Kurds, and Turks for that matter, don’t even know about the genocide. Now it has been confirmed by the grandchild to one of the perpetrators of these atrocities in the town of Siirt where Behzat was born. 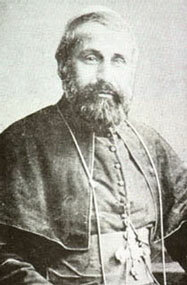 The Chaldean-catholic archbishop Monsignor Addai Sher lived in Siirt at that time. He was in charge of the new cathedral, consecrated in 1895. Throughout his years in Siirt the archbishop was mostly known for his book collection and for the cathedral’s library with its valuable collection of old manuscripts and books. Monsignor Sher was an author of works on theological, philosophical and linguistic topics. Exactly those manuscripts and books were thrown into the fire when the four Kurdish men murdered the Christian women and their children. One precious Syriac manuscript, the only copy left of a dissertation of the 6th century theologian Theodorus of Mopsuestia about the two natures of Christ in one person, is said to have been saved from the flames. Monsignor Shed had it wrapped in goatskin and ordered his servant to hide it in a well, known as Ayn Salib and situated close to the residence of the archbishop. Monsignor Sher himself met a gruesome fate. He was befriended with a Kurdish aga and when the massacres of 1915 started in Siirt, the archbishop fled to a village that belonged to this Kurdish aga. Monsignor Sher went to hide in a cave outside the village. Eventually the Turkish soldiers who were looking for him reached his hiding-place. The archbishop was brought back to the village. He was severely beaten up, sentenced to death and finally executed. This happened in June 1915. 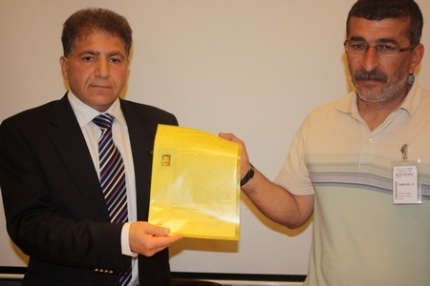 Behzat Bilek’s grandfather must have heard about the execution and being one of the perpetrators of the massacres at Siirt, he will certainly have approved of it.